WORLDWIDE: Renewable energy policies must focus on end-use sectors, not just power generation, a new report claims. 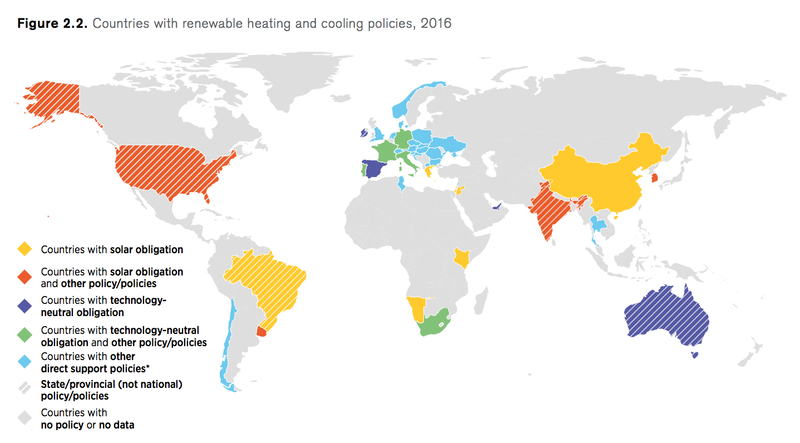 Dedicated targets, technology mandates, and financial incentives could drive deployment of renewables in heating and cooling, and transport — the two largest energy end-use sectors, the International Renewable Energy Agency (Irena) claimed. Spurred by innovation and increased competition, renewables have come to the forefront of the global energy transition with nearly every country adopting a renewable energy target, Irena stated. But progress has been uneven between different countries and different energy sectors, the agency said in its Renewable Energy Policies in a Time of Transition report. Heating and cooling, and transport accounted for more than 50% and 29% respectively of total final energy consumption in 2015, according to the International Energy Agency. But more than 70% of heating and cooling’s energy consumption was met by fossil fuels, while 96% of the transport sector’s energy use came from petroleum. Further, transport accounted for 64.7% of the world’s oil consumption in 2015. The report’s authors wrote: "Renewables can play a key role in decarbonising and providing a cleaner heating and cooling supply option. "Dedicated policies and measures are crucial to drive this until now rather neglected aspect of the energy transition." 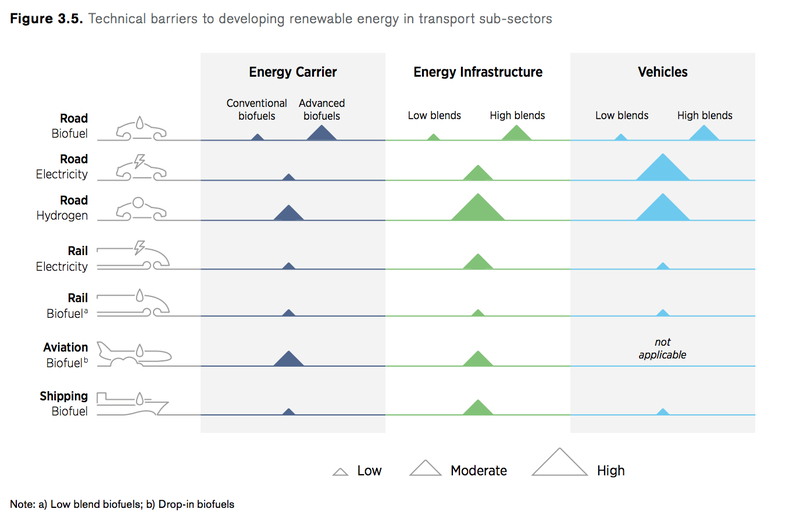 They added: "Decarbonisation of the transport sector remains a huge task that requires a fundamental change in the nature and structure of transport demand, improvements in efficiency and changes in the energy mix, which all require (a) major policy push." Countries should set dedicated targets for renewables in heating and cooling and develop strategies to achieve these targets, Irena suggests. Fiscal and financial incentives could be used to reduce the capital costs of renewables-based heating and create a level playing field with fossil fuels, and carbon or energy taxes could provide important price signals, the agency added. 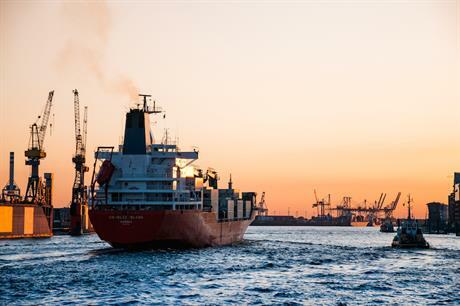 Carbon prices could stimulate decarbonisation in the transport sector as well, especially for the shipping and aviation industries, Irena suggests. However, the availability of energy carriers and fuels produced from renewable sources, the deployment of vehicles that can use renewable fuels, and the development of energy and fuel distribution infrastructure, could all pose challenges to policymakers, the agency added. The report comes in the same month that the International Maritime Organisation, the UN’s shipping regulator, agreed to halve the shipping industry’s emissions by 2050. Irena suggest that ships could use biofuels and other renewable-based fuels (electricity-based hydrogen or ammonia, for example) for propulsion, or they can directly incorporate wind and solar energy. Wind power could be incorporated on ships through the use of "sails, kites and Flettner rotors" — a cylindrical rotor which is spun along its long axis, and, as air passes at right angles across it, an aerodynamic force is generated capable of propelling the ship forward — for example, Irena suggests.